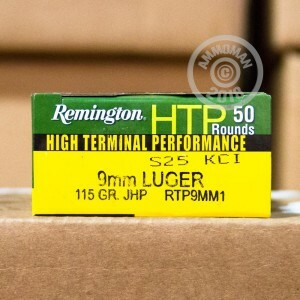 This 500 round case of Remington HTP ammo is a cost-effective self-defense option that gives you room to shoot what you carry. 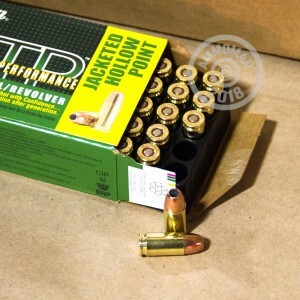 Packaged in 10 boxes of 50 rounds each, these 9mm Luger cartridges fire a 115 grain jacketed hollow point bullet. 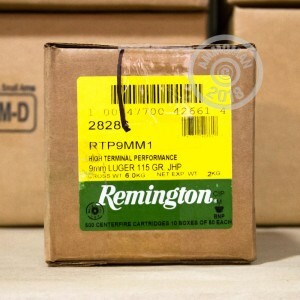 Like other Remington HTP ammo, these cartridges are loaded in Lonoke, Arkansas and use non-corrosive Boxer primers and brass cases. Rack up double digit savings at AmmoMan.com with free shipping on all orders over $99 including most 500 and 1,000 round cases!